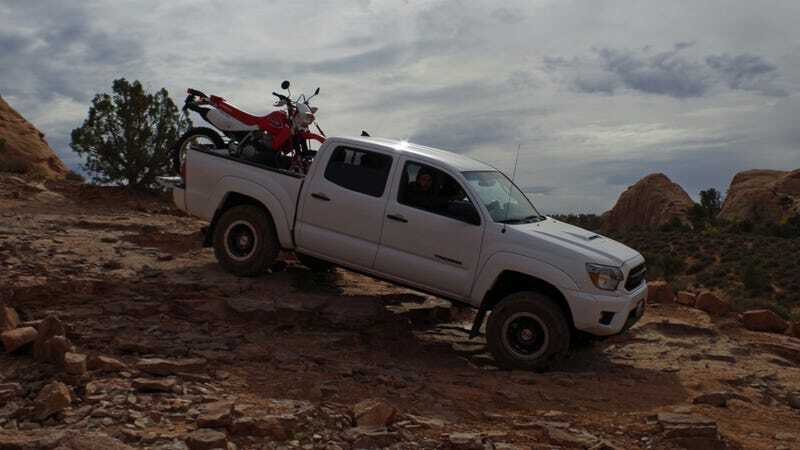 We've just wrapped up a weekend in Moab, Utah torturing the Toyota Tacoma TRD Pro over slickrock, steep steps, rocks, and sand. Ask anything you want about it– I'll get you answers in the comments and full review! Despite being a bit anemic on the highway, I didn't find it wanting for power through climbs I "wasn't sure were possible" in a stock pickup. The low-range gearbox really drops you down to squeeze every drop out of the truck's old engine.